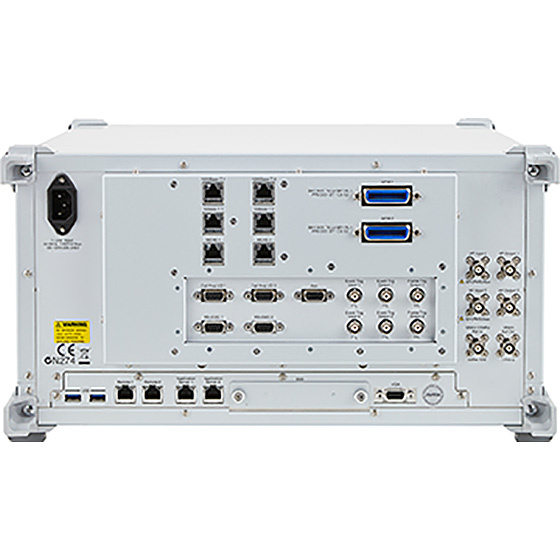 The MT8821C Radio Communication Analyzer is designed for R&D of mobile devices / user equipment (UE), such as smartphones, tablets and IoT modules. It builds on the technologies of its popular predecessor, the MT8820C, preferred by UE and chipset vendors worldwide. 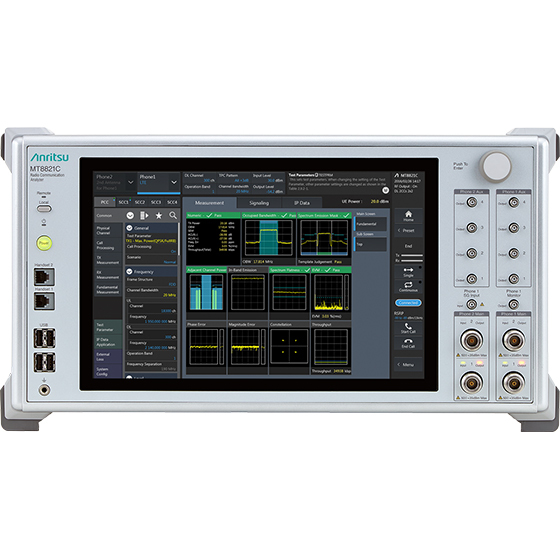 The new MT8821C supports all technologies, ranging from LTE-Advanced to 3G/2G, with its easy-to-use measurement functions for efficient RF adjustment and testing in one unit. It even supports LTE-A 2CC 4x4 MIMO and 4CC 2x2 MIMO in a single box as well as LTE-U/LAA. Also, it supports LTE-A 4CC 4x4MIMO or 6CC 2x2MIMO by interlocking two boxes, and 5CC 4x4 MIMO by three boxes. 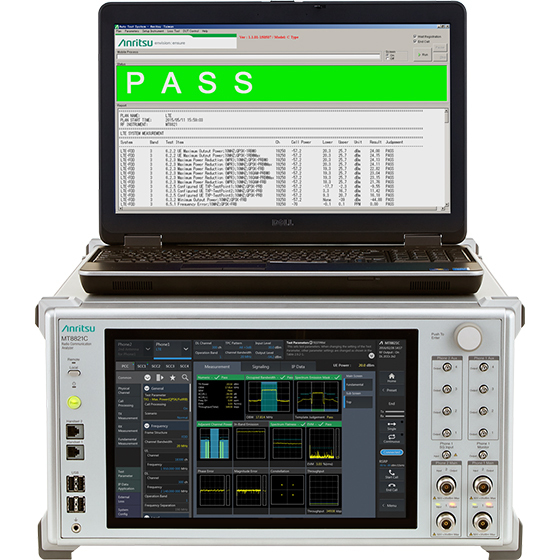 With built-in support for the UE RF TRX tests compliant with the various communications standards, such as the LTE Unlicensed (LTE-U/LAA) in the 5 GHz band, the MT8821C is the ideal test solution for any measurement scenario. Supported communication technologies include LTE/LTE-Advanced, Cat-M1/NB-IoT, W-CDMA/HSPA, GSM/EGPRS, TD-SCDMA/HSPA and CDMA2000 1X/1xEV-DO. 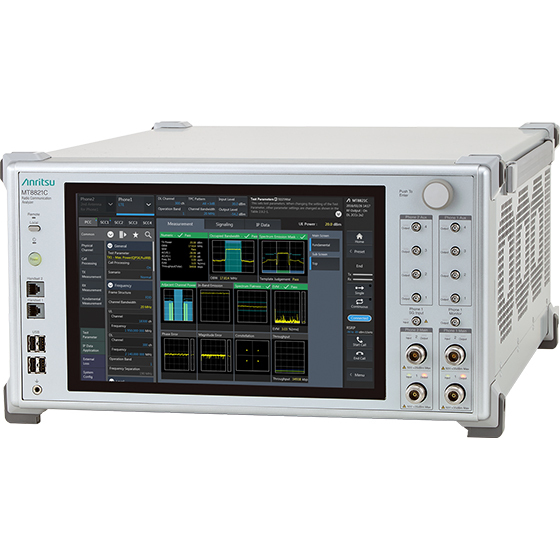 The MT8821C simplifies measurements with its preset measurement parameters based on the 3GPP specified RF test cases. In addition, it automatically performs the PASS/FAIL judgment of measurement results, per the standard test conditions. Operation is as simple as selecting the required test case from the RF test items in the remote control sample tool. Even new users can easily configure an automated test environment, which reduces training time and increases productivity. The MT8821C also efficiently simplifies the traditionally complex settings process with its easy parameter search, bookmarking of commonly used parameters and setting test parameters functions – all with just one touch of a button. With the built-in Windows 7 PC, you can execute IP data transfer tests without an external server PC.